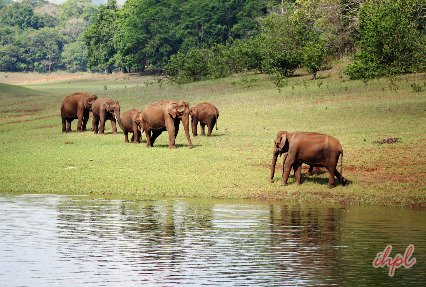 A case of nature’s abundance, with rich biodiversity, picturesque scenic beauty, offering complete satisfaction to its guests, Periyar National Park and Bird Sanctuary is one of the most popular wildlife reserves in Kerala. 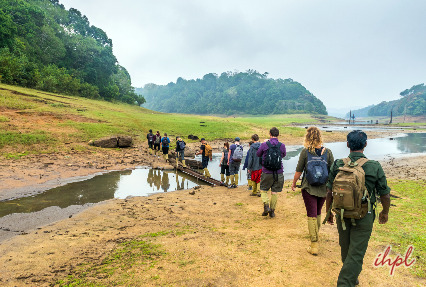 Short escape Periyar, is a meticulously-planned tour of 2 nights and 3 days, to explore the gems of Periyar, if you do not have much time in your hand. This national park is known for housing exotic flora and fauna, as well as offering interesting boat rides clubbed with wildlife viewing. After you arrive in Cochin, our tour representative helps you with an assisted transfer to Periyar. The road journey takes around 4 hours and is a scenic one. Afternoon arrival in Periyar, followed by check-in formalities at the resort. The rest of the day is at leisure. Explore the surroundings on your own. You can embark on a leisure walk. One of the 27 tiger reserves in India, Periyar national park and tiger reserve is a storehouse of endemic, rare, and endangered flora and fauna. It is one of those wildlife reserves in India that remain open even in monsoon season. Day 2 of your tour is going to be an exciting when you will spend the day having a rendezvous with the exotic wildlife of the region. 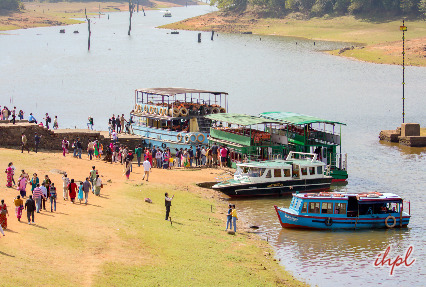 The morning starts with the popular boar ride in Lake Periyar. This boat ride is of around one and a half hour where you can spot birds, deer, elephants and boars on the banks of the Lake. Next you can try elephant safari or jeep safari. This national park is home to exotic animal and bird species including tiger, gaur, elephant, Nilgiri langur, Indian wild dog, barking deer, Sambar, King Cobra, Python, darter, kingfisher, great Malabar hornbill and so on. Post breakfast, on the last day of the tour, get an assisted transfer to Cochin Airport/Railway station for your onward journey.